Swiss embroidery. Holy Spirit design. Available in red. 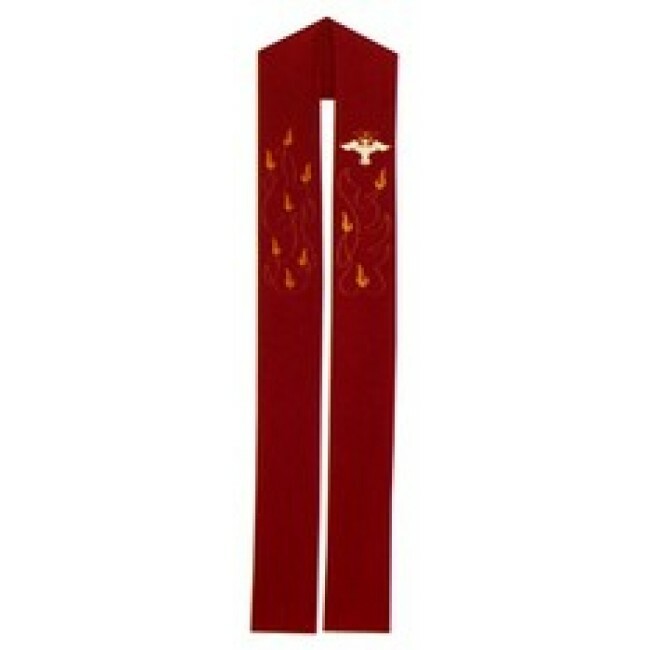 Holy Spirit Design Clergy Stole made of wrinkle resistant polyester, machine washable. Soft, fully lined and interlined for perfect draping. This beautiful stole is approximately 56" x 5". 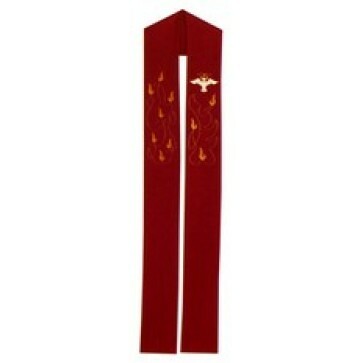 Also available in Deacon Stole 53" x 5". Swiss embroidery, available only in Red.